Birth Matters NYC's group class series in Astoria are "all-in-one" and include not only prep for labor/birth but also postpartum wellness, breastfeeding and newborn care -- a rare find in NYC these days. Equally rare is a NYC class series that meets in an inviting and comfy home setting with snacks, drinks, and warm lighting, yet this is the case with BMNYC -- it's like every class is a party! Scroll down for info, scheduled dates, and registration button. The following Astoria-based group class series are available with limited capacity (up to 14 people). 2 more great options for you! A convenient, on-demand, video format of the comprehensive birth, postpartum wellness, breastfeeding & newborn care curriculum Lisa teaches in her in-person series (plus some extra content we don't have time for in class!). There's even a special option for adding an in-person, hands-on COMFORT MEASURES FOR LABOR class in Lisa's living room classroom, so you get the best of both worlds! Check it out! Classes meet in Lisa's welcoming home in Astoria (Upper Ditmars) and are appropriate for women/couples giving birth in any birth setting -- hospital, birthing center, or home birth. All group series are comprehensive and cover: prep for a holistic, healthy & positive labor/birth, stages of labor and strategies for each, instinctive & natural pain management techniques, practical tips for partners toward optimal labor and parenting support, strategies for avoiding unnecessary interventions, postpartum wellness, breastfeeding & newborn care. The class prepares expectant parents for natural, non-medicated birth, and also covers commonly used pain medications, interventions, complications, and cesarean birth. Expectant parent students will not only learn to trust their intuition toward a healthy birth in class, but will also be well-equipped to make informed choices and to have appropriate expectations regarding the spectrum of possible scenarios in labor and birth. Instructor Lisa incorporates some of the best aspects of popular methods (e.g. 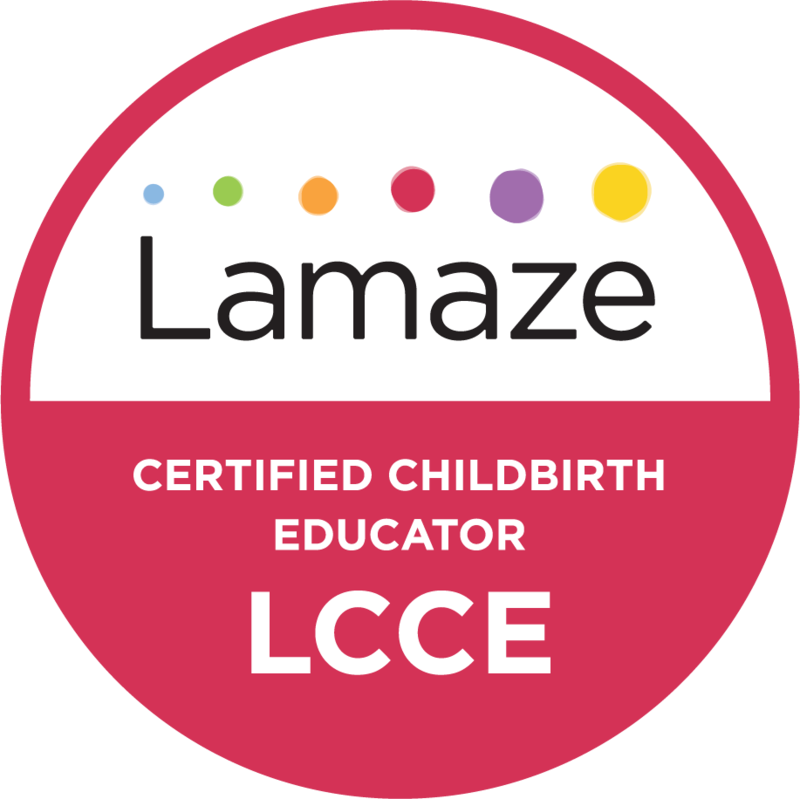 Bradley, Lamaze, Hypnobirthing) and integrates insights from her experience as a doula and evidence-based training with the Childbirth Education Association of Metro New York (CEA/MNY) and Lamaze International. Classes combine oral instruction with powerpoint, video, demonstration and hands-on practice. A customized class PDF textbook is also included, as are supplemental online course selections, Google Drive files and a YouTube video playlist. Online with credit card (click "Register Now" button above), or you can also pay with bank account via Venmo to @birthmattersnyc. Full payment due upon registration. Once payment is submitted, please check the confirmation email for a link to the registration page to complete the intake form. Refund policy: Refundable up to 2 wks before class begins. After that, prorated refunds available upon request (minus any credit card fees and $25 materials fee, if student has already been given access to them) if a student gives birth at <36 weeks; no refunds if student gives birth at 36+ weeks once class starts. If student is unable to attend class with less than 2 weeks' notice before class begins for other medical or personal emergency reasons (for example, bed rest or hospital admission), students will be granted access to the online, on-demand course in lieu of the in-person course. FSA/HSA cards accepted via website registration; contact your card provider if you encounter problems as they sometimes put restrictions on the card that need to be lifted/adjusted. Inquire with your insurer to determine eligibility for insurance reimbursement; Lisa is happy to provide an itemized receipt to your insurer's specifications upon request. Check out the 5-star reviews on the Birth Matters NYC Yelp page that have proven Birth Matters to be one of the top childbirth education resources in all of NYC! Join the list & receive Lisa's free packing list for your BEST birth! We respect your privacy and, for those in the EU, are GDPR-compliant. Awesome; you’re one step closer to an amazing birth! Click here to download your packing list, and look out for an email greeting from Lisa (from info@birthmattersnyc.com). Get your pack on!